Don´t miss one of the events of the year: September 24th, Saturday at LAVA – Laboratorio de las Artes de Valladolid. 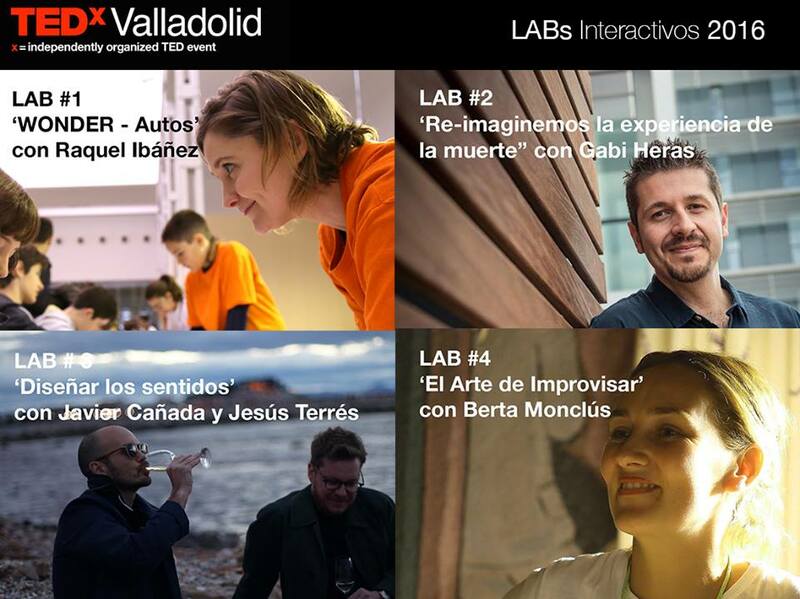 TEDxValladolid comes back. As you can remember, they gave us the the oportunity last year with the talk “The Care of Invisible”. This time, it will be WONDER. Wonder, wonder and wonder. Wanting always to know more, questioning everything, lefting marvel and wondering through life and reflecting on the observed and lived… WONDER, what leads constantly as humanity to advance, not settle, to discover and to go further. A day for ideas, visions, finds and answers. From Earth to Science, digital to the intangible, from the arts to stereotypes, the investigations to urban, from literature to physics, from microbes to the inexplicable, the winds to the dangers and safety on the internet. For those who want to start the experience from the early hours of the morning and prepare body and mind for the big event, you can enjoy very special experiences: Running, functional training, fitboxing, meditation and mindfulness. Those who also want to delve into a particular topic can participate in the interactive LABs with speakers of other editions. And this project returns to have presence thanks to the invitation of Belén Viloria. A normally taboo subject, which is not usually speak and therefore not think and decide calmly and previously about how, if we have the opportunity, we would like to live this way when it is somewhat inevitable for all e inherent to life. Statistically, most of us will die in hospitals or institutions, different to our home. This LAB will be precisely to devote ourselves a bit of time to analyze, reflect, and propose ideas on how we’d like to live this experience. Get your ticket here as soon as possible!. See you in Valladolid! A unique and absolutely recommendable experience. If you try, you will repeat!. A day full of ideas and inspiration to live, share and take them home.